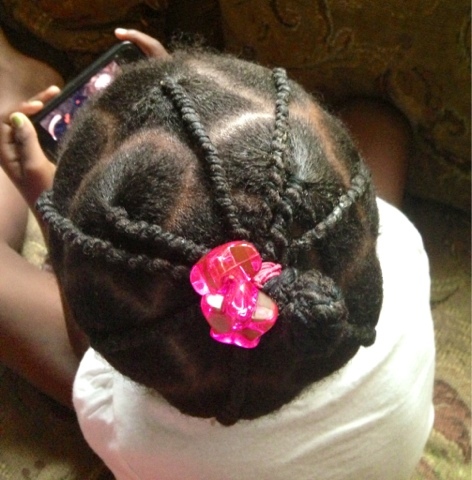 In preparation for her next long term protective style, I threaded her hair to have it stretched. If her bonnet stays on every night, she can easily wear this style for two weeks. However, that is not the case, so it is only going to be worn for a week, after which her hair would be cornrowed with some Marly hair. 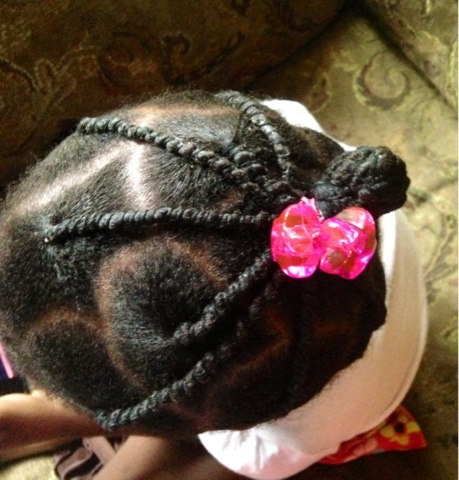 I added Shea butter to each section because Shea butter keeps the hair stretched and fluffy. If anyone is interested in learning how to do this style, please let me know so I can film a tutorial.